Did you share your computer with someone else? Even in this modern world where most of us have our own computer, we are probably meet up with sharing or need to access a shared computer. When this happened, it is necessary to have a separate account and create a strong password for it. Creating a password can keep our personal data and files private and secure from unauthorized access, password protect windows 7 is quite easy, and the process is pretty much the same as Windows Vista. In this article, we look at two options for you to windows 7 password protect so that the next time anyone get access to your windows 7 system should enter a password firstly. Note: If you have created a strong password for your Windows 7 user account but now forgot Windows 7 password and can’t get access to your system, see related article on how to Find a Forgotten Windows 7 Password. Click on “Start” button, the Windows Orb and then choose “Control Panel”. Click on the “User Accounts and Family Safely” option, and then click on “User Accounts” icon. 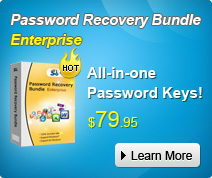 Step 3: Create a password for your Windows 7 user account. Click on the “Create a password for your account” link. Insert your new password and then Confirm new password, finally click on the “Create Password” button. Note: If you are afraid of “forgetting Windows 7 password”, you can type a password hint to get reminded of your password. If you do not want a password hint, then you can skip that field. WARNING: Remember that anyone using the computer will be able to see the password hint. Your Windows 7 User Account is now Password protected. NOTE: Only Use account with administrator authority has permissions to do this. Step 1 to step 2 is the same as above. Click on the “Manage another account”link. Click on the account that you wish to create a password for, and then click “Create a password” link. Type in a new password and then again to confirm new password, finally click on the “Create Password” button. You have successfully created a password for Windows 7 another User Account.